Your poor liver! You probably don’t think about it very often, but this often-ignored organ is one of the most important in your body – and one of the hardest-working. It performs hundreds of essential health functions, from detoxifying your blood, to helping your body digest fat, break down hormones and store nutrients. Unfortunately, it’s also subjected to all kinds of abuse. Consider this scenario: you over-indulge at happy hour, eat a bunch of junk food afterward and then reach for an over-the-counter pain reliever the next day to deal with it all. Sound familiar? Most of us have been there at one time or another, but the more you stress your liver, the more at risk you become for developing liver damage. The good news about the liver is that it has the ability to heal itself under the right circumstances. So, if you've been less than kind to your liver over the holidays, the new year is a perfect time to work on undoing some of the damage. Here are a few ways to jumpstart your liver health in 2018. 1. Eat a balanced diet. Avoid high calorie-meals, saturated fat, refined carbohydrates and sugar. Load up on fiber from fresh fruits, vegetables and whole grains and limit red meat and dairy. Enjoy healthy fats (like Omega-3s) and, you guessed it, drink tons of water. 2. Exercise regularly. Along with the myriad benefits of consistent exercise, it helps to burn triglycerides for fuel and can reduce liver fat. 3. Avoid toxins. Limit direct contact with toxins from cleaning products, insecticides and chemicals. This probably goes without saying, but whatever you do, don’t smoke. 4. Drink alcohol responsibly. Over-indulgence in alcoholic beverages can create many health problems. Talk to your doctor about what amount of alcohol is right for you. If you do drink, moderation is always best. 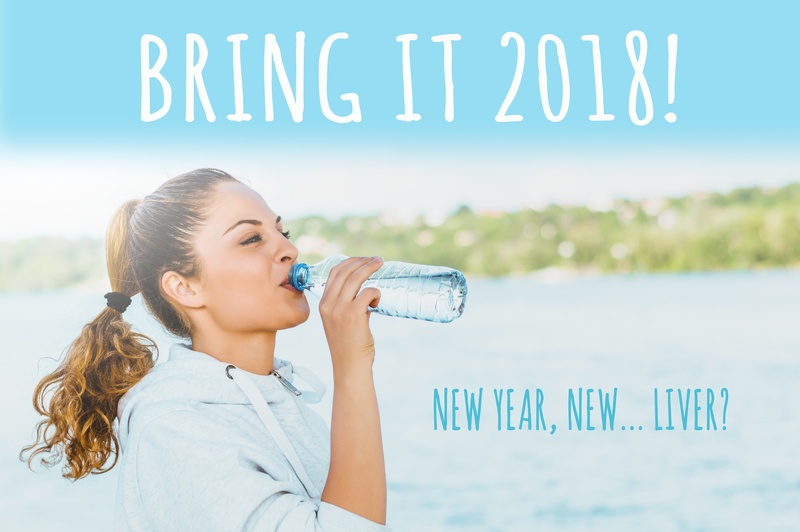 If you’re ready to take on 2018, a great way to start is by giving your liver a little TLC. To learn more about Barlean’s Liver Detox & Repair, click here.